SEBRING (AUS) (Chestnut 2005-Stud 2009). 5 wins at 2, STC Golden Slipper S., Gr.1. Sire of 251 rnrs, 140 wnrs, 13 SW, inc. Dissident (ATC Randwick Guineas, Gr.1), Criterion, Bring Me the Maid, Believe Yourself, Thurlow, Clifton Red, Kiss a Rose, Scratchy Bottom, Bring Something, Typing, Pressing, Bring a Ring, Interspersed, SP Sebrina, Tahni Dancer, Ulmann, Patricia Dawn, Rightoncue, Bring a Secret, Maayaat, Valdez, Australia Day, etc. Lizard Island (c. by Sebring). Placed. See below. Fairy Star (f. by More Than Ready). Placed at 2 in 2013-14, 3d SAJC Cinderella S., L.
Queen of Eight (f. by Haradasun). 5 wins from 1300m to 1600m, A$91,445, to 2014-15, TTC Bill Playsted Apprentice Trophy H., 2d TRC Galway H., TTC Veolia Environmental Services H.
Alpha Auriga (g. by Northern Meteor). 2 wins at 1100m, 1350m in 2013-14 in Aust. BOUND FOR EARTH (Northern Meteor). 2 wins-1 at 2-at 1200m, 1250m, A$348,555, to 2013-14, ATC Furious S., Gr.2, Australian Turf Club 2YO H., 2d ATC Darby Munro S., L, 3d ATC Flight S., Gr.1, Tea Rose S., Gr.2, BRC Sires' Produce S., Gr.2, Dane Ripper S., Gr.2, Scone RC Dark Jewel Classic, Gr.3, 4th Qld Tatt's RC Tattersall's Tiara, Gr.1, MRC Angus Armanasco S., Gr.2, ATC Birthday Card S., Gr.3, MRC Kevin Hayes S., Gr.3. Romanus (Encosta de Lago). 4 wins-1 at 2-at 1200m, 1400m, A$271,795, STC North Ryde RSL 2YO H., ATC Edmen Community Staffing H., 2d AJC Flinders Lane H., ATC Rosehill Gardens H., Foundation Membership H., Bar 100 H., 3d AJC Skyline S., Gr.3, STC Rosebud Inglis Bonus H., Schweppervescence H., ATC Grand Pavilion H., Sydney Banana Wholesalers H., Inglis $2.6 Million Race Series H., 4th STC Pago Pago S., Gr.2. Thalia (Medaglia d'Oro). Placed at 2 & 3 to 2014-15, 3d VRC Thoroughbred Breeders S., Gr.3. Cresta Run (Commands). 3 wins at 1400m, A$230,290, AJC Ho Ho Ho H., STC AAMI Golden Slipper Day H., 2d AJC Sydney City Lexus P., 3d GCTC Magic Millions 3YO Trophy, RL, AJC Thrifty 2YO H., Yosica Dairy Group 2YO H., STC BP Woodward & Associates 2YO H., Inghams Love 'em H.
Subdivide. Winner at 1600m, MRC Wise Employment Cup H.
Wonderful You (General Nediym). Placed at 2, 2d BRC BJ McLachlan S., L.
Astaire (Groom Dancer). 6 wins from 1600m to 2150m, NZ$101,412, ARC Dunstan Feeds H., Avondale JC Boyle Mathieson H., ARC Ecolab Ecosafe H., 3d ARC Mitchelson Cup, L.
Ascolini (Bertolini). 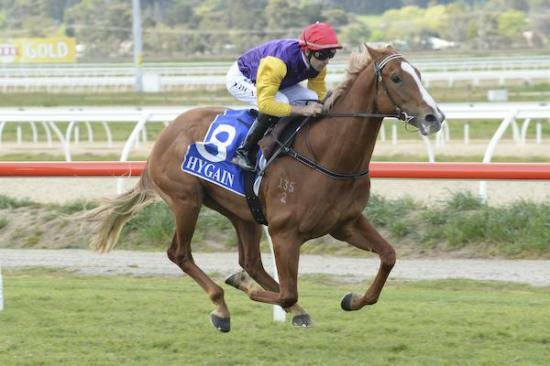 3 wins from 1200m to 2300m, Manawatu RC Richard Algar H., 3d New Zealand St Leger, L, Wanganui Cup, L, Hawke's Bay BBI Stayers H.
ATLANTIS DREAM (Elusive City). 6 wins from 1200m to 1600m, A$296,137, to 2014-15, SAJC Queen of the South S., Gr.2, VRC Leilani Series Final H., MRC Lister H., 2d VRC Ross Stevenson Trophy, MVRC Advanced Mailing Solutions H., Sportingbet H.
ST GALLEN (Decies). 13 wins from 1200m to 2200m in NZ and Malaysia, Singapore Gold Cup, L, Penang Sprint Trophy, L, Penang TC Yang di Pertua Negeri Gold Cup, L-twice, 2d Perak Derby, L, Singapore Derby, L, Singapore TC Pesta Sukan Cup, L, 3d Singapore TC Queen Elizabeth II Cup, L.
ANDERMATT (Amalgam). 8 wins from 1200m to 2400m in NZ and Malaysia, Singapore Derby, L, Penang Sprint Trophy, L, Selangor TC Piala Emas Sultan Selangor, L, 2d Perak Derby, L, Singapore TC Queen Elizabeth II Cup, L-twice, 3d Penang TC Yang di Pertua Negeri Gold Cup, L, Selangor TC Piala Emas Sultan Selangor, L.
OKIWI BAY (Kinjite). 7 wins from 1200m to 2400m, NZ$180,338, A$4,900, Waikato Gold Cup, Gr.2, ARC Austral Chartering P., Graeme Thomson Antique & Estate Jewellery 3YO H., Counties RC Franklins Bathroom S., Waikato RC Perrinpark Retirement Village H., Counties RC Patumahoe Rugby Club Syndicate H., 2d BOP RC Kiwifruit Cup, L, 3d Waikato RC Forest Lake Gardens H., L, 4th ARC Cornwall H., Gr.3, Lindauer Grandeur S., Gr.3, Mitchelson Cup, L.
Race Record: 2 Starts 0-2-0 A$36,000. Placed at 2 in 2014-15, 2d VRC Anzac Day S., L, MRC Robert Taranto 2YO H.